Most recently featured in the book, Living With Dogs, pet portraitist Christine Merrill will celebrate her 10th year with William Secord Gallery with a special exhibition January 29th- March 5th at The Artis Group Ltd. in Palm Beach, Florida. Her masterful oils of pampered pets have earned praise from People Magazine, The Washington Post, Town & Country, The Boston Globe, and television documentaries produced by the BBC. For further information please e-mail or call the gallery. 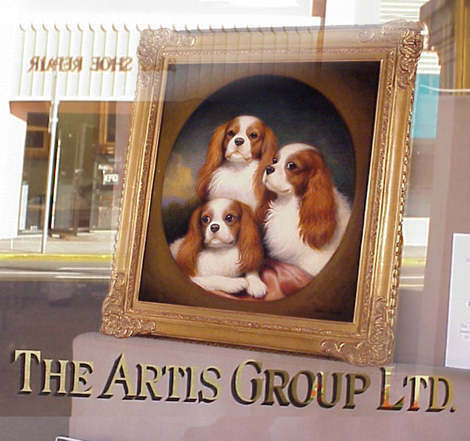 The Artis Group can be reached directly at 561-832-0030 or by fax at 561-832-0048.